highlighted automatically and a reading sound will be carried out simultaneously. Since the voice actor with theatrical skills is reading, it is very pleasant! (※ iBooks is an electronic reader for iPad or iPhone. Please access a work page from iPad or iPhone. 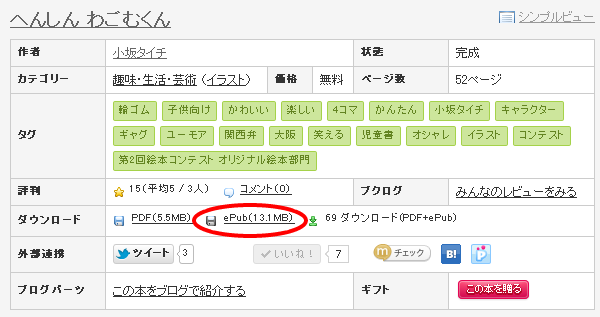 And please download an ePub file. 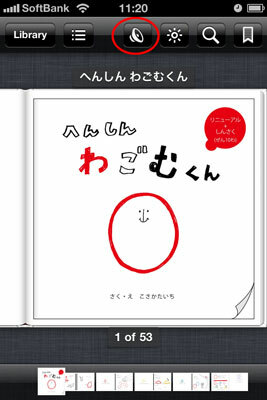 After downloading, a work file is opened using iBooks. screen will display the button of"starting reading." and the lower part is carried out. (C) 小坂タイチ(Kosaka Taichi) .All Rights Reserved.